In our first blog, we introduced you to the four needs of followers based on Gallup’s bestselling book, Strengths Based Leadership. In this series, we are looking at the four needs of followers -- trust, compassion, stability and hope -- and how leaders should be thinking about each through the lens of their own strengths. So far we have explored trust and compassion. 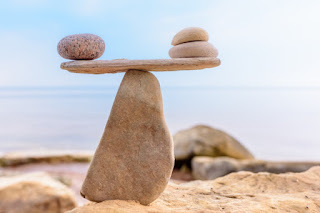 For this blog we will focus specifically on the third need, stability. Building a sense of stability is an incredibly important aspect of leadership. When asked about how leaders contribute stability to their lives, followers frequently use words like “security,” “strength,” “support” and “peace.” It turns out that employees who have high confidence in their company’s financial future are nine times more likely to be engaged than are employees with lower confidence. Things just work better when employees feel a sense of stability. The quickest way to create a sense of stability is with transparency, especially about vision and financials. Even when the news is bad, employees feel better when leaders are open about it. Think about how you feel when you only get some of the information. Very often, partial information leads people to fill in the blanks with the worst-case scenario. This can lead to more instability, insecurity and disengagement. By creating clarity, leaders remove stress and open the doors for higher performance. When consulting with leaders, I often tell them to make their employees their business partners. Bring your team closer, explain why decisions were made. Don’t just say, “No we cannot get those supplies.” Instead, invite them to be a part of budgeting decisions. Several years ago, I gave this advice to a leader of a security company. His team was complaining about not being able to get certain tools and equipment. I encouraged him to have a budget meeting with them and explain the business reasons behind the decisions. I encouraged him to answer their questions and to ask them if they had other ideas. When he finally had the meeting, he was amazed at how transparency allowed his team to understand his decisions. He found that the team had some good ideas for saving even more money, and they became part of the solution. By bringing his employees into the discussion, he was able to create real stability with his team. Stability is the foundation of engagement. People need to know what is expected of them in their role at work. They need to have the materials and equipment to do their job right. They need to know that their talents fit what they are being asked to do and that they will be appreciated for doing their work well. As a leader, it is up to you to help impart this through focused, frequent conversations. How can I leverage my strengths to make sure that I am creating clarity for my team? How can I leverage my strengths to have focused, frequent conversations? How can I leverage my strengths to make my team my business partners? How can I use my strengths to make sure that my team feels a sense of stability, even when broader changes are happening? How can I leverage my strengths to make sure I am having frequent one-on-one conversations to re-align expectations as needed, based on changes that occur? A real key to stability is in involving people in the conversations. I once consulted with a company that scored low on the Q12 question, “I know what’s expected of me at work.” When the company’s CEO saw the low score he said, “How is that possible? I tell people what to do all the time!” There are times when people need a leader to tell them things -- the financials, for instance, or the company’s long-term strategy. However, when it comes to day-to-day discussions about expectations, two-way conversations are key to stability. Involving your employees in the process of setting expectations and in discussions about successes and struggles makes them partners in the business. You create stability by letting them be a part of building that stability. Leverage your strengths to help employees build stability. Use your strengths to bring your team along as your business partners. Lean into your strengths to involve your people in discussions about expectations. Leverage your strengths to create transparency. Do these things, and you will find that as a leader, you can build stability through your strengths.